MLK happily participated in The Pennyroyal Arts Council's THE BIG READ. Students investigated mysteries across all content areas by gathering clues, compiling evidence, and communicating the solutions. Families joined students at the Family Reading Night on Thursday November 13th and discovered effective strategies to strengthen reading skills. 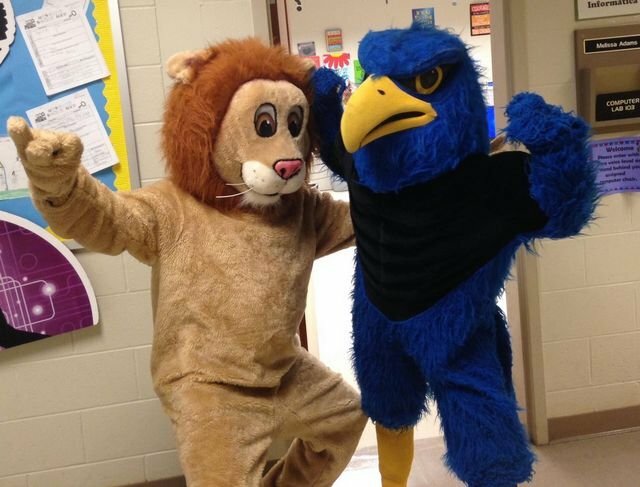 The Falcon joined Leo the Lion in welcoming participants to highlight our Big Read activities.